Houston, Texas – August 16, 2017 – Optimum, a premium Technology, Digital Marketing, and Management Consulting firm, announced today that it has been awarded the Digital Media Development contract with HISD. 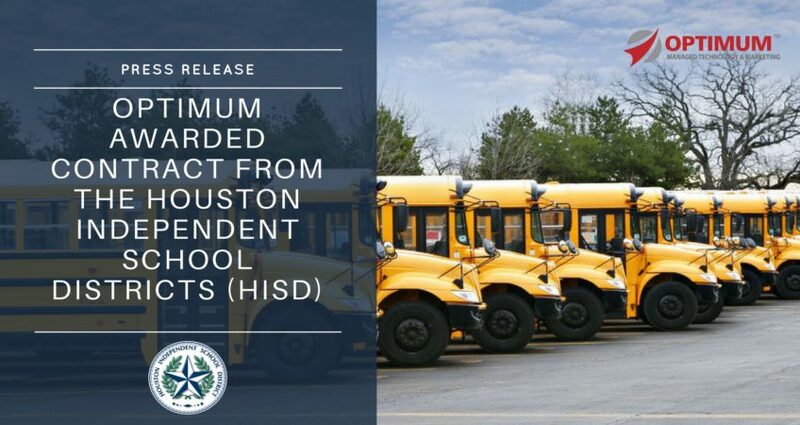 This contract allows Optimum to lead and execute projects in Instructional Design and Digital Media Production for various schools and departments within HISD. The contract is in effect through August 2018, with an option to renew for 4 continuous years.